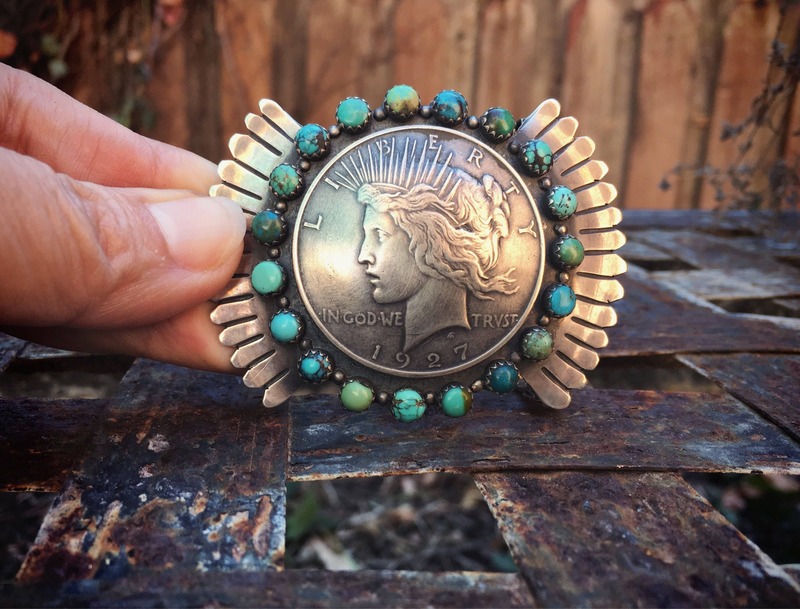 This beautiful belt buckle carries in its center the 1927 Liberty Silver Dollar, also known as the Peace Silver Dollar. About this hard-to-find coin: "The 1927 Peace Dollar...has the second lowest mintage of the series (one of only four dates with mintages below 1 million coins)... 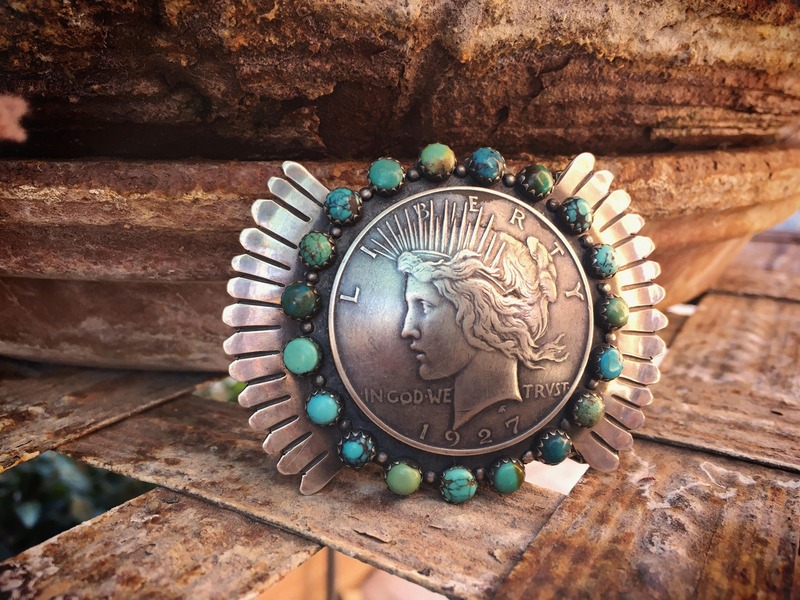 Overall, the 1927 Peace Dollar ranks as the third rarest of all the Peace Dollars in Mint State, behind only the 1928 and the 1934-S." Clearly, the maker of this belt buckle gave the coin its due by using beautiful turquoise ranging in greens to blue green in large snake eye setting all around the exterior. 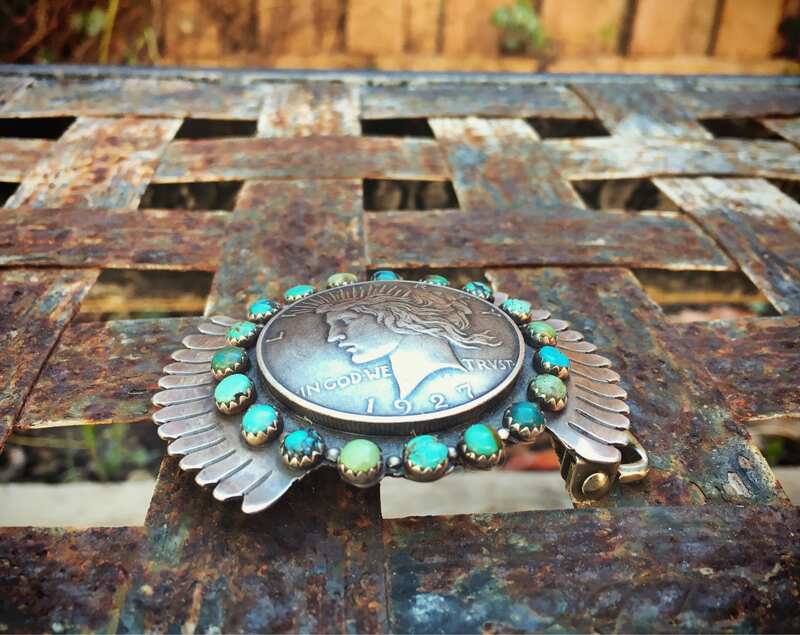 Old coin jewelry and accessories are very much in style as they appeal to women and men alike, and in fact, being a unisex belt buckle, would be perfect for the person who loves and collects coins AND the Southwest. 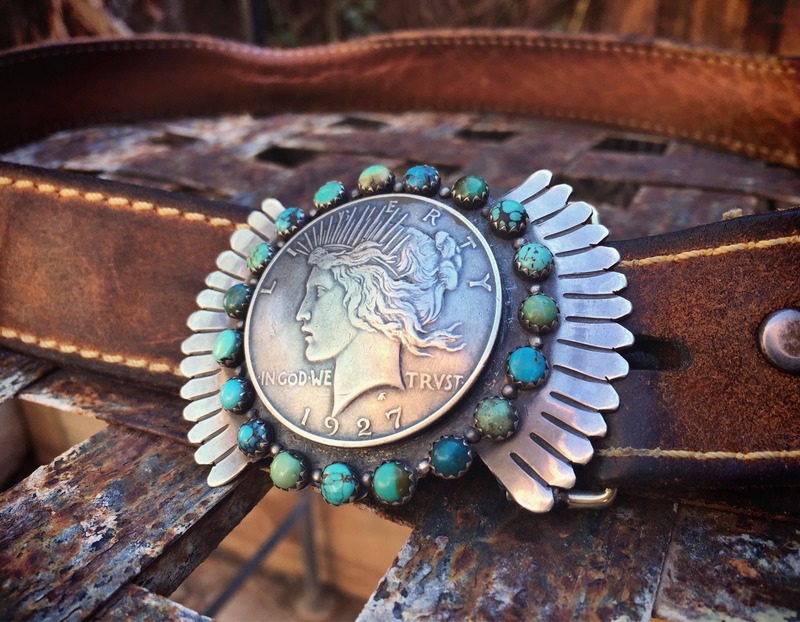 The buckle is made of coin silver throughout, which I presume is for consistency in color and patina with the actual coin. Coin silver is generally 90/100 silver content, or 900 (versus 925 for sterling silver). 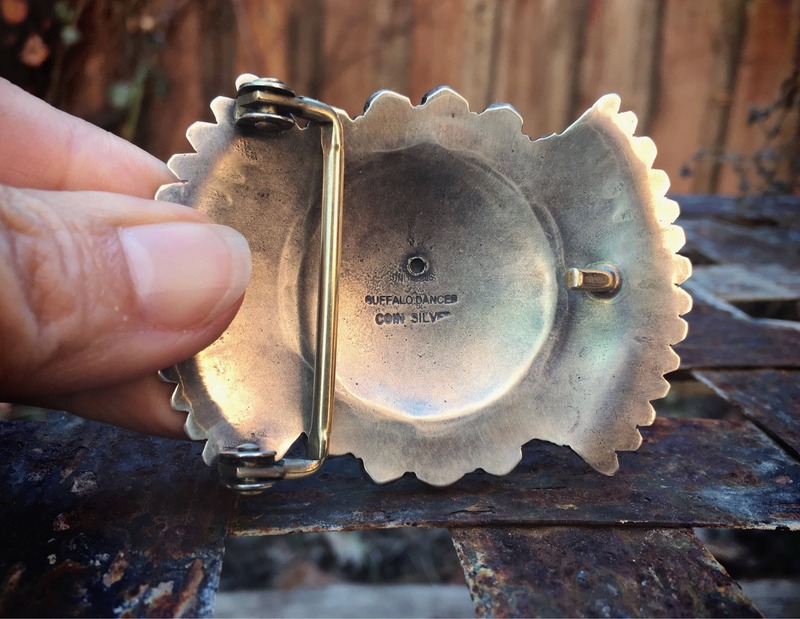 This buckle measures 2-7/8" across by about 2" tall. 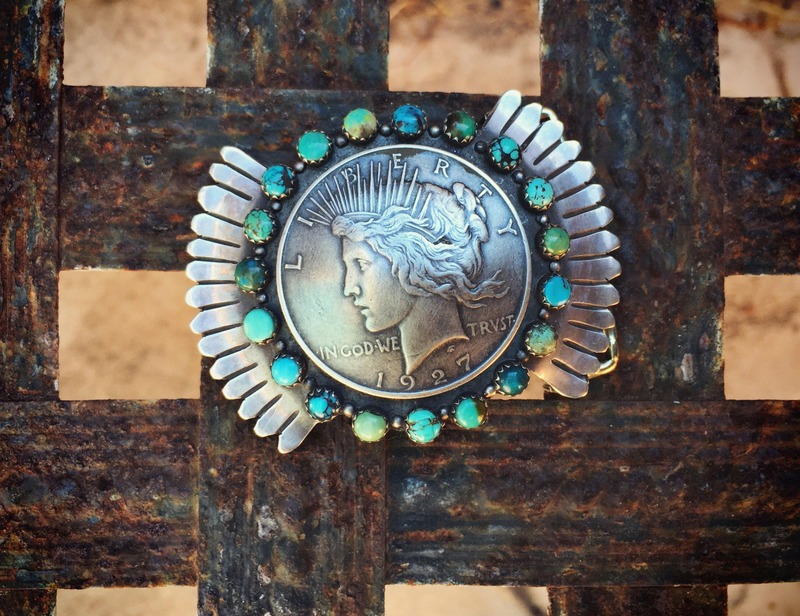 Each of the cabochons of turquoise is about 3/16" in diameter. 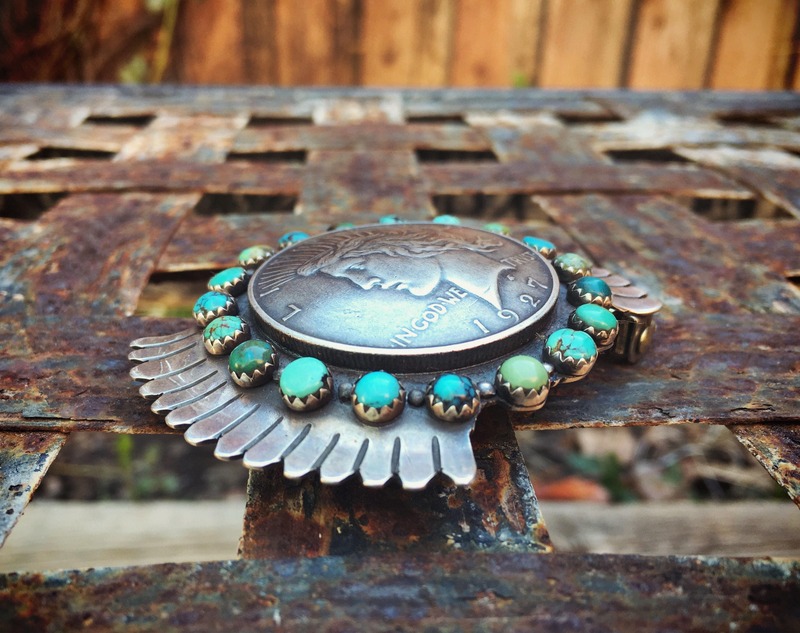 Carries Coin Silver stamp on back and hallmark Buffalo Dancer, which is a Taos, NM, jewelry maker established in 1974 and employing Native silversmiths. 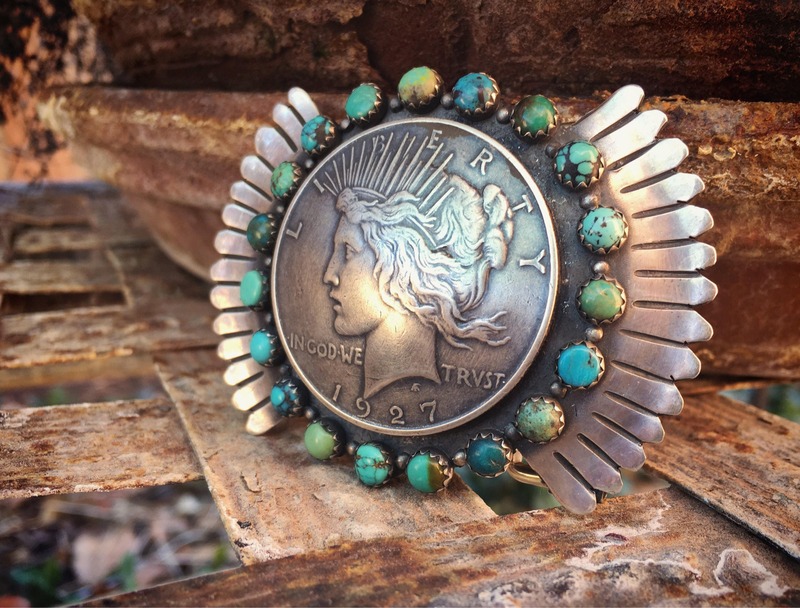 A beautiful and very special belt buckle for the person you love--including yourself!